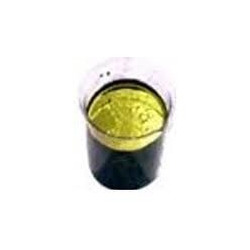 Leading Exporter of liquid methyl violet dyes, liquid malachite green dyes and liquid victoria blue dyes from Mumbai. Finding application in industry sectors like paper, pulp, silk, woolen, leather and others, these Liquid Methyl Violet Dyes are made available by us in liquid form and comes in approximate concentration of above 55% (in comparison to crude powder). Finding solubility in both water & alcohol, it has more than 1 year of stability with nil salt content. With extensive demand in textile and paper industry, here we offer the dyes in different packaging option choices to pick from as per the specific requirements of the customers. 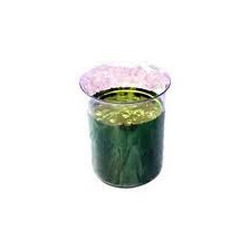 Available in liquid form, Liquid Malachite Green Dyes offered comes in approx concentration of above 60% (in comparison to crude powder) with dye content of 60% +/- 2%. Having solubility in both water & alcohol, it finds application in products like paper, pulp, silk, woolen, leather with stability of more than 1 year. Further, our expertise lies in making it available in different packaging options as specified by the customers. Having physical appearance of blue liquid, Liquid Victoria Blue Dyes comes with approx concentration of above 60% (as compared to crude powder) with dye content of 60% +/- 2%. Finding application in areas like silk, woolen, leather, paper, pulp and other products, the dye has solubility in both in water & alcohol with stability factor of more than 1 year. We offer the dye in both standard and customized packaging setting as per the specific preference of the customers.